Jith12 had the most liked content! He has been playing with TFC U17 in the USSDA as of late. I believe that he will be playing for TFC U17 in their first Generation Adidas Cup game tonight. This was good preparation for the physical test that Cameroon will pose at the World Cup. That was also the first goal we have conceded this year. Our backline looks great, but we still need to create and finish more chances. Manjrekar James started for Midtjylland Reserves in a 1-0 win over OB earlier today. Kickoff confirmed for 10 AM ET (7 PT). A stream will also be available on canadasoccer.com. I remember reading a brochure for a GTA youth club a couple months ago (I can't remember which club it was) and Goodman was featured in it. It said that he was developed and scouted while at the club. Obviously this isn't enough info to determine whether he is eligible for us or not, but his Canadian connection is significant. Adekugbe starts for Valerenga away to Kristiansund. Edit: Went 90 in a 2-0 loss. Former Whitecap Efrain Juarez was sent off so Valerenga played a man down for about a half. 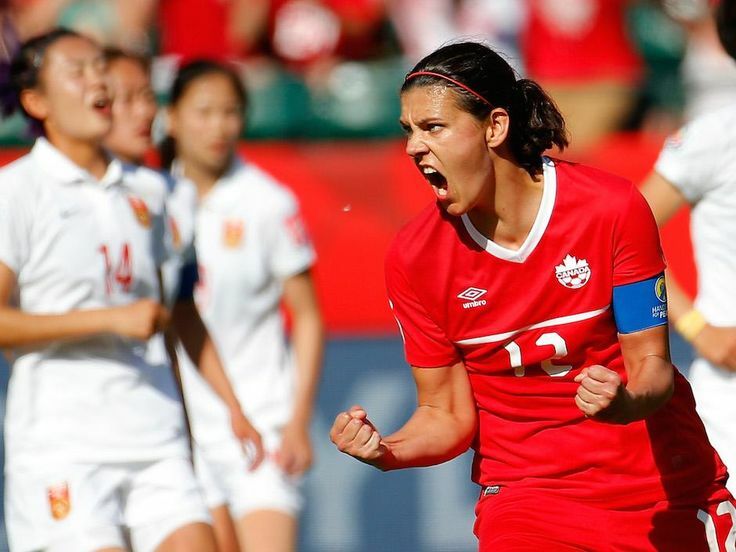 https://www.canadasoccer.com/canada-to-face-england-and-nigeria-in-preparation-for-the-fifa-women-s-world-cup-p162114-preview-1&language=en It has been rumored for a little while now, but the friendly against Nigeria has been confirmed for Monday April 8 at Pinatar Arena in Murcia, Spain. Stream confirmed for tomorrow. It will be at 2 ET on canadasoccer.com and tsn.ca. As @SthMelbRed mentioned in the General Youth thread, Habibullah scored for Whitecaps U23 against Merstham yesterday. He is the kind of player who can really benefit from the Caps' U23 team as he can test himself against grown men. He also scored for the Caps' U15 team against Real Madrid this past December: He certainly is a prospect to keep an eye on, hopefully we will see him with the U17's in May. Singh has been getting some time with Brondby Reserves and the U19 team recently. He has played twice for the Reserves, a 2-1 win over Lyngby on March 11 and a 5-1 win over Aarhus on March 18, both 90 minute appearances. He also played 64 minutes for the U19's in a 1-0 win over Aarhus on March 30. It's good to see him getting some time. Since the Brondby first team are currently in the Superligaen playoffs, it's unlikely that he'll get any time with them. However, they are also in the semi-finals of the cup, so maybe he can get an appearance if things go his way. He played again yesterday for Hearts Reserves in the SPFL Reserve Cup Final. He came on as a sub in the 56th and had got an assist in the 63rd as Hearts won 2-0. Adekugbe is getting very high praise from the Valerenga fans. Hopefully he can keep up the good form.